Phew! Lots of news out of Alaska Airlines HQ today. Here is what you need to know about today’s Alaska Airlines Game Changer Mileage Plan update. Alaska award tickets just got cheaper Many West Coast flights now start at 5,000 miles. Read my post on the details of these changes. Partner flights just got more rewarding When flying most international partner airline and crediting your flight miles to Alaska’s Mileage Plan, you may see an increase in the number of miles you earn. Particularly when flying in Business or First Class. These miles are Elite Qualifying which means you could nearly earn MVP Gold for one round trip flight on British. It seems that the new, additional bonuses are NOT elite qualifying. Delta partnership is out… As of May 1, 2017, Delta and Alaska will end their partnership when it comes to earning and redeeming miles. The good news is that you already have a ticketed flight it will still earn miles even after May 1. Kudos Alaska. …but Virgin America is in Starting immediately Alaska Airlines Mileage Plan members can earn elite qualifying miles that are good towards MVP status. The earning rates are comparable to earning on Alaska flights. These miles will be considered Alaska miles for the sake of earning status. 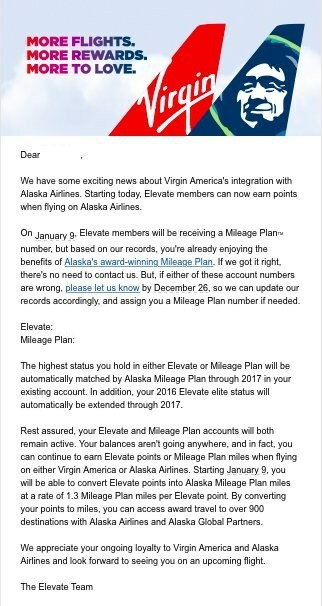 Virgin America Elevate points will transfer to Alaska miles at ratio of 1:1.3 Beginning January 9 Virgin America Elevate members will be able to transfer points to Alaska’s Mileage Plan. 1 Elevate point will transfer to 1.3 Mileage Plan miles. If you have some SPG points laying around this might be a good time to transfer to Virgin America. 20,000 SPG points become 25,000 Elevate points which become 32,500 Mileage Plan miles. 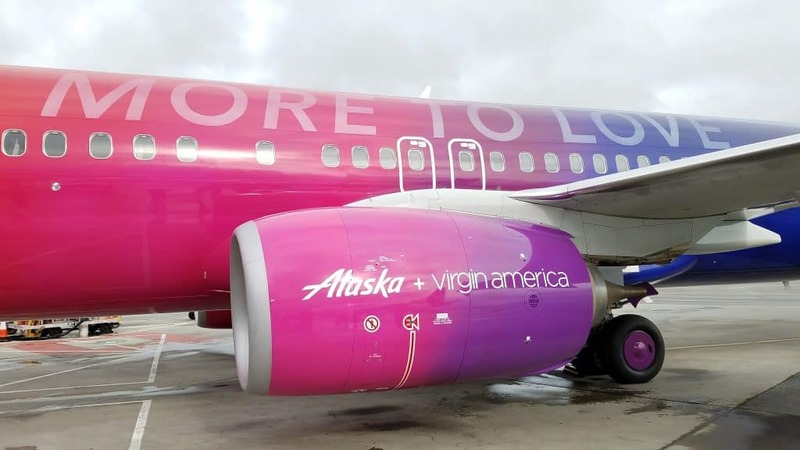 Additional changes today (that we already knew) include reciprocal elite check-in and early boarding benefits (Alaska + Virgin press conference) and complimentary upgrades on award tickets (Premium Class announcement). Did I miss anything important from today’s Alaska Airlines Game Changer Mileage Plan update? They actually sifted through both FF programs. I got an e-mail today informing me that they matched my FF programs, and my AS FF got upgraded with immediate effect to AS MVP Gold. Thank you for the data point! Besides the email, is there anything showing that your accounts are linked? Either on the Elevate or Mileage Plan website?